High-flying Brockenhurst College students and their achievements were recognised and celebrated during a glittering Gala Awards ceremony at the College last Friday. More than 150 guests sat around dining tables in the main hall for the evening event that saw 38 awards presented for excellence in learning or significant contributions to the college community. Alex Forster from Dibden Purlieu won the night’s most anticipated award for Student of the Year, which he earned through his outstanding academic performance. He achieved four A*s in his A Levels and has now accepted a place to study Mathematics at the University of Cambridge. Alex said afterwards: “It’s been a long-term goal of mine since an early age to study at Oxford or Cambridge. I chose to do my A Levels at Brock after coming to an open day, after which I didn’t see a reason to go anywhere else.”. Sophie Boyes, also from Dibden Purlieu, picked up the Computer Science, IT and Vocational Business Student of the Year award, sponsored by PR executive and former PA to the Prince of Wales Patrick Harverson. Sophie, who is currently working in events at Beaulieu Motor Museum, said: “I feel honoured and proud to receive this award. My time at Brock was incredible; I wouldn’t change it for the world.”. 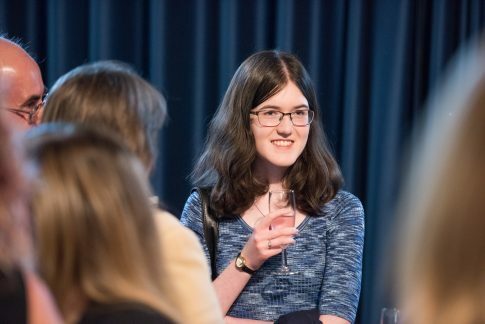 Science Student of the Year was awarded to Dahria Kuyser from Marchwood, who is about to begin studying Medicine at the University of Oxford. Darhria commented: “I am surprised, pleased and very flattered to have been given this award. I feel I owe most of my academic success to Brock. Without my teachers I wouldn’t be where I am today.”. The International Student of the Year award, sponsored by Parallel Translations, was given to Katarina Fabryova from Slovakia for her contribution to the International Department and the Students’ Union Committee, as well as her work as a Student Ambassador. Meanwhile, the Teacher of the Year award, voted for by the Students’ Union, went to Mathematics and Physics lecturer Hugo Gibson. As well as students and staff, the evening was attended by parents, supporters and sponsors, and began with a drinks reception. Guests were then served a two-course meal prepared by students from the College’s fine-dining restaurant, known as MJ’s. 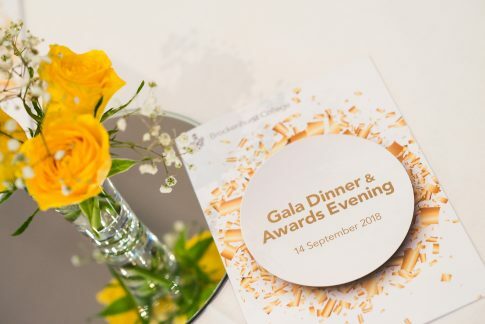 Principal Di Roberts CBE said: “At Brock our diverse curriculum, first-class facilities, outstanding teaching and individual support mean our students have every opportunity to reach their full potential, and I congratulate all the award winners. 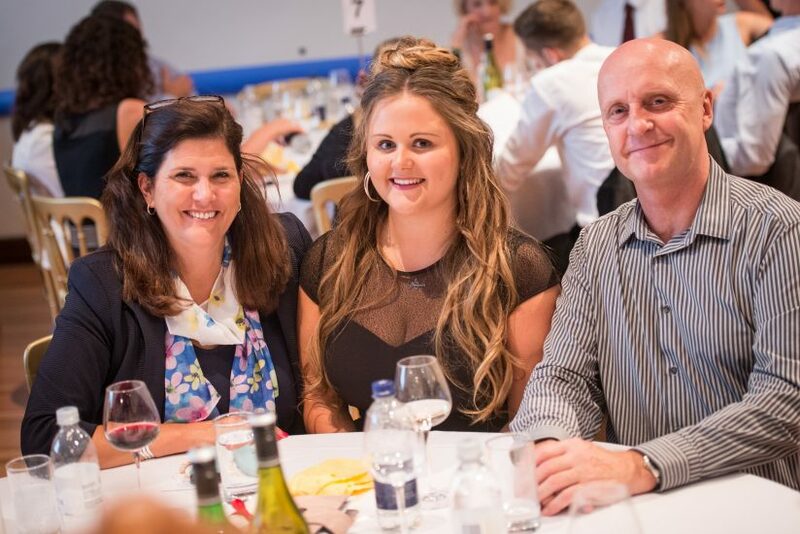 Chair of Governors Graham Beards, who presented awards alongside the Principal, added: “It’s been a truly memorable evening celebrating our remarkable students and staff… We wish all students leaving us every success in the future. Elaine Cole, Human Resources Manager at award-sponsor Esso, said: “The event aptly demonstrated all of the things that are great about Brock – the wide range of courses, the ethos of aspiration, the supportive learning environment and the passion for achieving in whatever field the learner is interested in – and it was great to be involved in what was a very special evening.”. Award sponsors comprised: Bournemouth University, Arts University Bournemouth, SportBU, St Edmund Hall University of Oxford, Southampton Solent University, Chewton Glen, Esso Petroleum, PEDALL New Forest Inclusive Cycling, Doughty Engineering Ltd, Chs Creative, Parallel Translations, Bishops Printers, Geo Specialty Chemicals, Professor David Roberts, Patrick Harverson, and The Family of Kevin Wykes.